There is a reason for the buzz around Houston. The city and its surrounding areas boast southern hospitality, excellent beaches, and the best cosmopolitan city delights. More than two million people reside there, making it America’s fourth biggest city and the largest in Texas. On the bayou of the Buffalo River, you’re under half an hour from the gorgeous coast. Just a little south of Houston leads you to a fantastic stretch of beautiful beaches on the Gulf of Mexico. A short trip away are Bolivar and Galveston, barrier islands known for serene beaches and amazing historical sites. You can also escape to the northern lakes or take in the exotic species at various wildlife refuges in the area. This is a historic city and a space city, blending skyscrapers with historic buildings. The green spaces and modern structures are harmoniously designed, making this great city a delight to explore. From the Johnson Space Center and the Rodeo to the Theatre District and numerous museums, there’s plenty to do every day you stay. Performing arts are particularly strong here, and the music scene is increasingly vibrant. There are also roughly 340 parks, scattering plenty of greenery around the cityscape. If shopping is your thing, the architectural gem of the Galleria is the biggest mall Texas has to offer. Just an hour north is the upscale lakeside suburb of Lake Conroe in Montgomery County. The lake itself sits amongst glorious pine forests and covers over 20,000 acres with its deepest point at 75 feet. The San Jacinto River flows into the lake, bringing with it a rich stock of fish, including the much sought after largemouth bass as well as catfish, crappie, striped bass, and bluegill. Most can be caught year round in the shallows, from the marinas and docks, or around the four artificially created reefs. The area also offers golfing, tennis, and boating. Lake Livingstone is just a little further east and north of Houston, but still within 80 miles of the city’s downtown. Check out East Piney Woods, a manmade reservoir created in the ‘60s and much bigger than its western neighbor, boasting a staggering surface area of 90,000 acres and more than 450 miles of shore. Outdoor enthusiasts will find an assortment of activities to try from horseback riding and wakeboarding to fishing and sailing. There are also sandy shores on which to picnic, swim, or lounge. Heading down the coast, Gilchrist has pristine white beaches on the gulf. This peninsula offers a laidback, uncrowded beach vacation where the green of nature rolls right to the shore. On the lee side, East Bay provides quiet, tranquil fishing and wildlife spotting amidst many protected areas. A very quiet area, gaze upon an array of marine and migratory birds who have reclaimed it. It’s also one of the best fishing spots to uncover, particularly at the Rollover Pass. When you come to Houston, you are greeted with a versatile, laidback destination filled with a variety of landscapes to explore. Whether your taste is for beach, city, or lake, you’ll find something here to delight you and your family. Make your way to the south of Texas for a breath of fresh air. 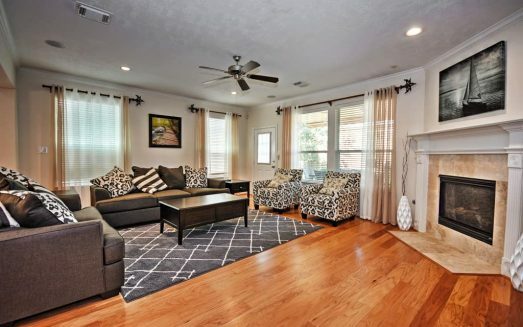 If you are looking for a cozy place near Central River Oaks, this is the townhome for you. 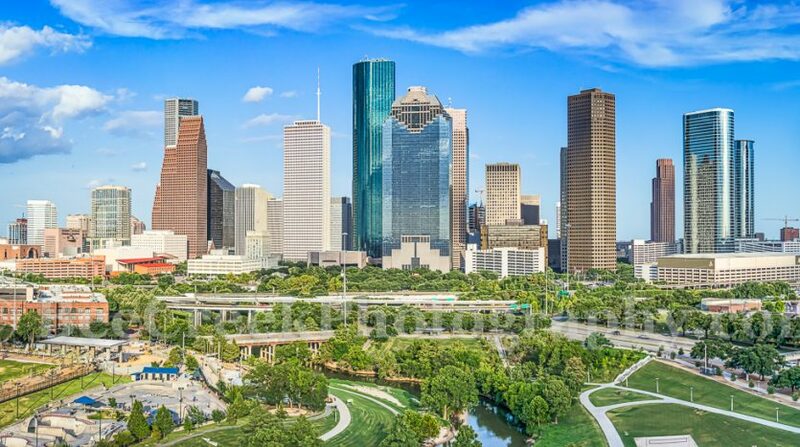 BOOK YOUR HOUSTON TEXAS VACATION RENTAL TODAY! With 2,529 square feet of living space, this 3-bed and 2.5-bath rental fits 10 comfortably and has two queen sofa beds for extra sleeping areas. The property features a gas grill, Wifi, private parking, and a patio perfect for lounging. The modern décor displays hardwood floors, granite countertops, and stainless steel appliances. Other amenities include air conditioning, linens, a fireplace, a flat-screen TV, Jacuzzi, onsite laundry, and so much more. The townhome is centrally located and just a stroll away from Buffalo Bayou Park, Eleanor Tinsley Park, River Oaks Shopping Center, and a plethora of award-winning dining spots. Named one of Houston’s most lucrative vacation homes by the Houston Chronicle, check out the property’s seasonal deals for staying a week or a month. Win A Free Vacation Rental Photo Shoot!